Want to get fit, fast and strong? Just listen to your heart. In sync with the dynamic lifestyle, Zebronics India Pvt. Ltd., India’s leading supplier of IT peripherals, audio/video products and surveillance products, launched its advanced smart band ‘ZEB–FIT500’ with Heart Rate Monitor, an optimal way to burn your calories and improve your workouts. The Heart Rate sensor supports both automatic and manual mode. The automatic mode takes the heart rate data in every 5 minutes and you can view the heart rate data graph on the Mobile Phone application. The sensor also works dynamically, means even when you are running or walking it will keep on taking the heart rate data. An ideal choice for anyone who wants to monitor heart rate while working out. In addition to the heart rate tracking, ZEB-FIT500 also tracks other fitness metrics which includes steps taken, calories burned, active minutes and distance travelled via the Step Pedometer. To help you stay active throughout the day, ZEB-FIT500 also gives you sedentary reminder, encouraging you to achieve your daily step goal. ZEB-FIT500 monitors your sleep & wakes you up with its silent vibration alarm letting you create your own sleep patterns in sync with your fitness goals. 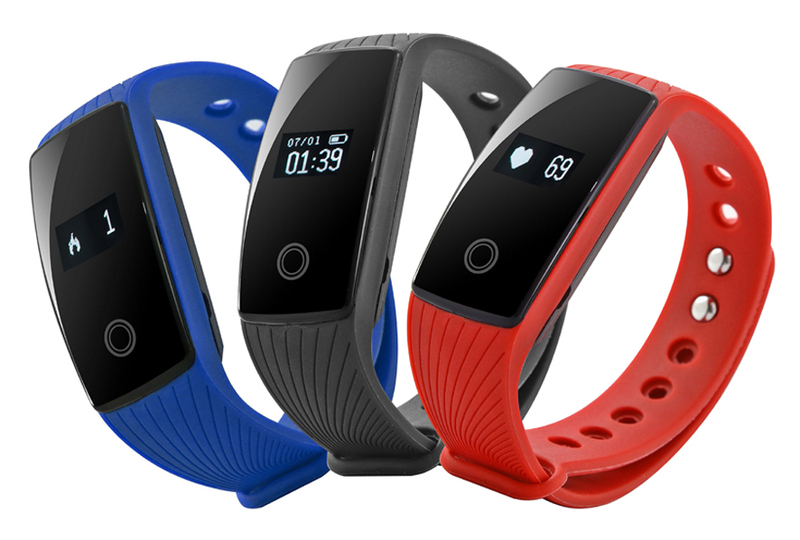 Designed to suit your active lifestyle, correspond the band to your smartphone, and keep a track of the notifications and also calls with the Caller ID function on your band. Its Anti Lost Alert and Find Phone shall also help you locate your phone during the SOS situations. Lastly with the Camera Remote Shutter, snap the photos on the smartphone with the touch on your band, Say Cheeze! Speaking on the launch of the newest fitness band, Mr. Pradeep Doshi, Director, Zebronics India, says: “Training with the readily available information about your Heart Rate with ZEB – FIT500, takes the guesswork out of your fitness regimen and lets you focus on your body. Keeping the health-conscious generation in mind, we have bought an ideal combination – Tracking your steps and heart rate graph helps you reach your fitness goals and stay healthier in the long run”. To get started all you need to do is, download the ZEB FIT App (Android & IOS) and strap your band on the wrist. The band is available in shades of Blue, Red and Black at leading retail stores across India.